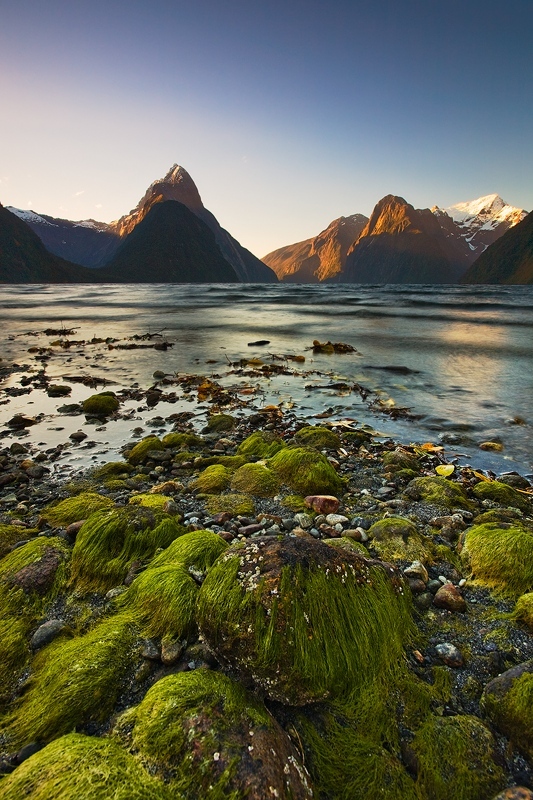 Milford Sound is known for its beauty. It is one of the main attractions on the south island. For a photographer it’s a challenge to shoot. Not because of the landscape but more because of the sand flies / black flies which nags you all the time. For that shot I had to be fast because of the incoming tide. Only one minute after I shot the photo, the whole foreground was flooded. I was lucky to get what I’ve wanted.